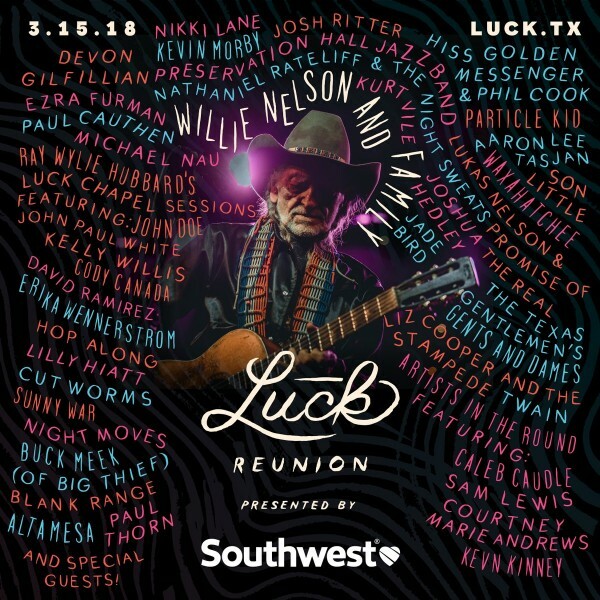 Originally an exclusive event hosted at Willie Nelson ranch, Luck Reunion has since become a big music festival, with sponsorships, a large lineup, and complimentary drinks, as the site specifies “even the adult kind.” According to the festival’s official website, “‘Luck Reunion’ is a movement dedicated to cultivating and spreading the culture of Luck, Texas and the evolution of our American roots,” and features a headlining performance from Willie Nelson & Family every year. This year, Nelson has invited Nathaniel Rateliff & The Night Sweats, Kurt Vile, Nikki Lane, Waxahatchee, Hiss Golden Messenger, Paul Cook, Preservation Hall Jazz Band, Ezra Furman, John Paul White, Paul Cauthen, Aaron Lee Tasjan, Ray Wylie Hubbard, John Doe, Cody Canada, Kelly Willis, The Texas Gentlemen, Particle Kid, Liz Cooper & The Stampede, Blank Range, Alta Mesa, Son Little, David Ramirez, Twain, Lukas Nelson & Promise Of The Real, Joshua Hedley, Kevin Morby, Devon Gilfillian, Erika Wennerstrom, Lily Hiatt, Cut Worms, Night Moves, Hop Along, Buck Meek, Kevn Kinney, Caleb Caudle, Sam Lewis, Courtney Marie Andrews, Charley Whitten, Michael Nau and Sunny War. Kurt Vile’s last record with Courtney Barnett was released in October, and the Dean Ween Group just teased a collaboration with Vile earlier this month. 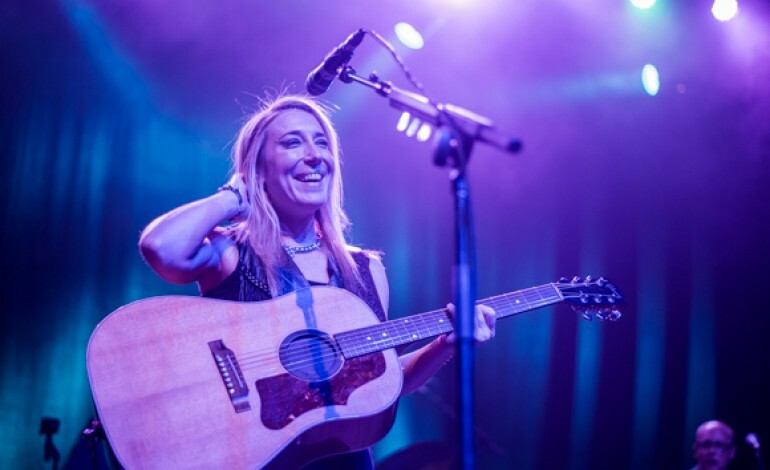 Meanwhile, Erka Wnnerstrom of Heartless Bastards has her solo record Sweet Unknown set for a March release date, as well as an appearance at the The Music of Led Zeppelin All-Star Tribute show at Carnegie Hall. Tickets for this year’s Luck Reunion, taking place on March 15th, are available “on a rolling basis via several ‘pop-up’ sales leading up to the event,” with any remaining tickets sold in March before the event. It’s a semi-arduous undertaking, in order to prevent scalpers and bots, wherein a unique code, found on the Luck Reunion’s social media channels, will grant access to the ticket sale. The festical will also feature the Southwest Artist on the Rise contest, where you can vote for the next big artist to appear at Luck Reunion 2018: Mt. Joy from Los Angeles, Thomas Csorba from Houston, Marty O’Reilly & The Old Soul Orchestra from San Francisco, Kirby Brown from Dallas or Hugh Masterson from Milwaukee. Check out the official Luck Reunion 2018 poster below.